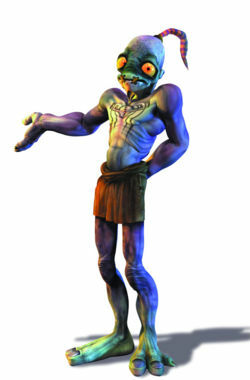 The return of Oddworld’s Abe? According to Internet rumours, Lorne Lanning who was the genius behind the Oddworld games on the PS1 and later the xbox, with titles such as Munches oddysee and Abe’s exodus, has apparently let slip that Oddworld Inhabitants is indeed working on a new Oddworld project. It was thought that game development had ceased after the release of Stranger’s Wrath on xbox so that the team could focus on other things such as animated movies, however if the latest rumours are true then hopefully it should not be too long before we may see the likes of Abe gracing our screens again, but this time the graphics that are capable on the next-gen systems is rumoured to be almost as good as the cut scenes were in the previous games. It is still early days yet though, and although a new Oddword game is great news, it may be some time until we get our grubby mitts on it to play. As ever, when we know more so will you. i hope this is true and not a rumour cuz ever since i got my ps3 i always fort this game was a psone classic! i hope oddworld comes back i am pretty sad because i loved to play them until they went onto x-box. Previous story Street Fighter 4 coming to PS3..